Molly Canfield and Caprioso 2 with trainer Lorrie Canady and groom Alex Mendoza accept their third place award in the NHS 3'3" Equitation Championship from NHS President Mason Phelps and Jennifer Burger. 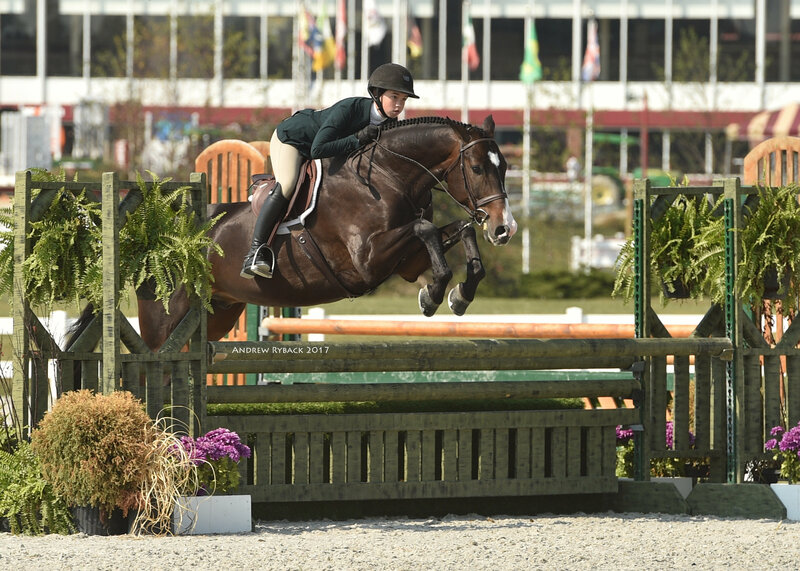 Lexington, KY – October 30, 2017 – Molly Canfield, 14, of Chicago, rode to a third place finish in the inaugural National Horse Show (NHS) 3’3” Equitation Championship this past Sunday at the Kentucky Horse Park in Lexington, Kentucky. Trainer Lorrie Canady of Galway Farm in Long Grove, Illinois, took advantage of the opportunity for Canfield to ride in the new 3’3” Championship to prepare her for the 3’6” medals next year. After four phases of competition and a starting field of 47 riders, Canfield aboard Caprioso 2 held her spot for the third place ribbon at the final award ceremony. 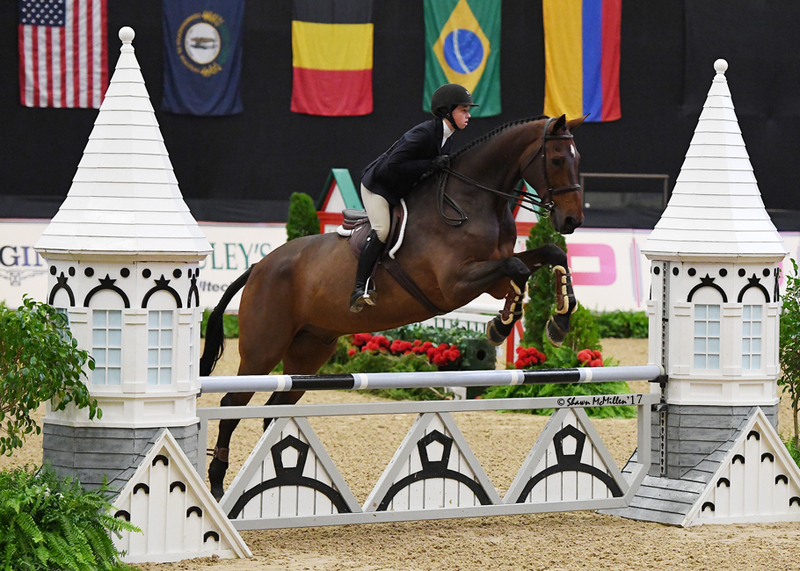 Riders in the championship began with a jumping round over a course designed by Bobby Murphy, which narrowed the field to the top 20 riders. Judges Robin Fairclough and Timmy Kees then judged riders on the flat to establish the reverse order of go for round 2 over fences. Canfield was in third place for round 2 but when it was complete, the judges called for a work-off of the top four riders, which again had Canfield sitting in third. The work off was a shortened course, which included a halt and a trot jump. It wasn’t until the final award ceremony that riders then knew where they finished. 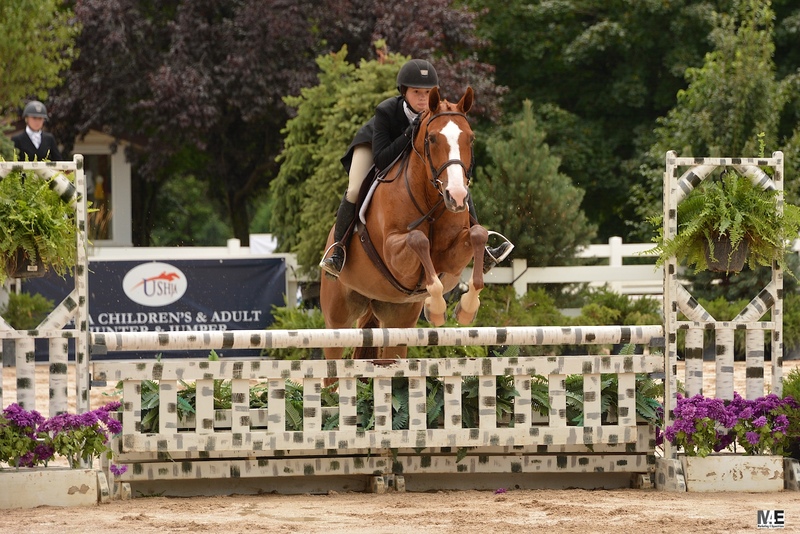 Molly Canfield and Penny Lane won the Team and Individual Gold Medal in the USHJA Children's Hunter North Regional Championships in 2016. This was the first time Canfield had ridden in the Alltech arena although she is not a stranger to championships. 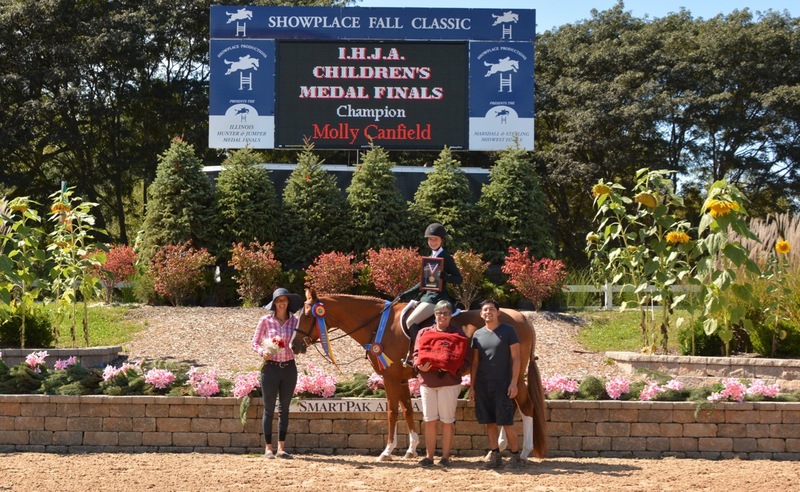 In 2016, Canfield earned the Individual Gold Medal in the USHJA Children’s and Adult Amateur Hunter North Regional Championships and added her scores to help earn the Gold Medal for her Children’s Team aboard Penny Lane. Canfield also took the Reserve Championship in the Sore No More Children’s Medal Finals Midwest and won the Illinois Hunter Jumper Association’s Children’s Medal Finals. In 2017, Canfield also earned the HITS Chicago Circuit Championship in the Low Children’s Jumpers aboard Rapidash and took the Circuit Reserve Championship in the Junior Hunters 3’3” aboard her mother’s horse, Claas Clever. Canfield began riding at Galway Farm at the age of six while her mother, Mary Beth, has been training with Canady for over 20 years. The Galway Team includes assistant trainer and rider Molly McAdow, who also rode with Canady as a junior. Champion trainer Stephanie Peterson with Jaden Porter, reserve champion trainer Cynthia Williams with Caroline Blake and third place trainer Lorrie Canady with Molly Canfield in the NHS press conference. Competition continues at the National Horse Show on October 31 - November 5, 2017 including the ASPCA/Maclay Finals. Daily competition can be seen on Eqsports.net. Lorrie Canady, head trainer/owner, had a vision to start and operate an equestrian facility that could cater to the serious show rider but also be a place to help beginning riders get started in the sport. 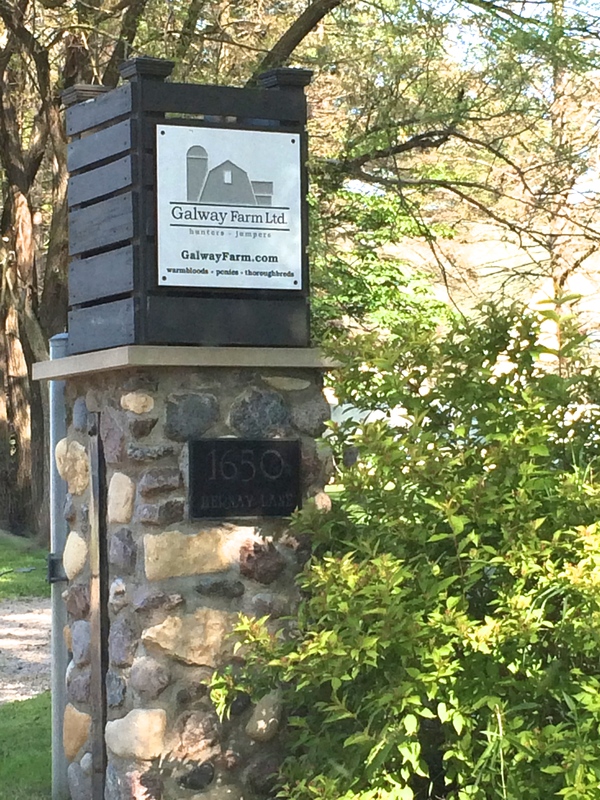 Galway Farm is a friendly, family oriented facility that is a fun and safe environment for all. 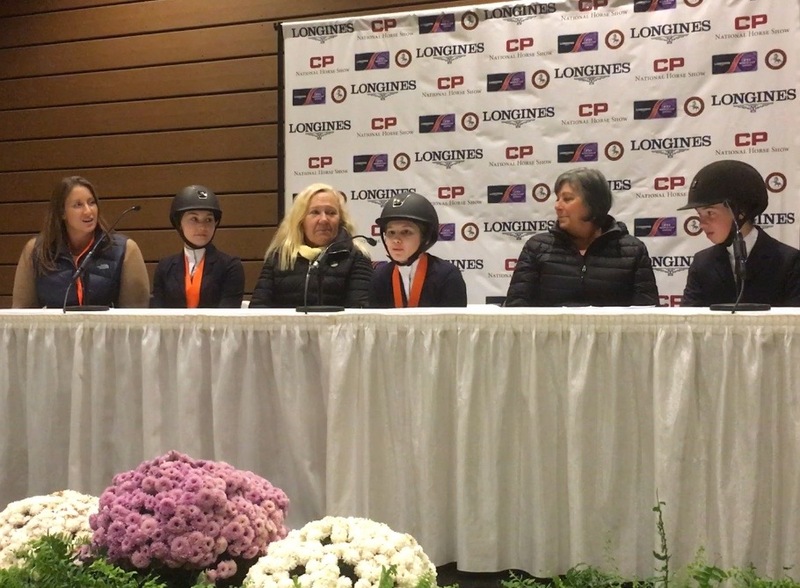 Canady has participated in major competitions throughout North America including Wellington, Florida; Ocala, Florida; Lake Placid, New York and Spruce Meadows in Calgary, Canada. Molly McAdow as assistant trainer and rider, has helped Galway Farm produce numerous champions and circuit champions as well as bringing along quality sale horses. Watch for dates for the fall 2018 Galway Classic featuring the Galway Equitation Classic and the Galway Hunter Derby. The event features two days of clinic and a show day with feedback from the judge, along with plenty of great food, fun and education. For more news subscribe to www.ChicagoEquestrian.com and "like" us on Facebook.